A symbiosis of geometric shapes and ultimate precision. Inspired by the cube, which avantgarde artists of the early 20th century made into an objet d’art. Technically perfect: A surface created with precision using diamond tools and edges that refract light to highlight the most beautiful feature. An architectural masterpiece. Perfection. Standing out. Achieving the aspiration of being unique. Exploring new avenues. This is AXOR MyEdition. The clear, linear design boldly sets the stage for personal fulfilment. And creativity. With a variety of plates. Made of a choice of materials such as leather, wood, marble or mirror. Individualisation. Perfection. The AXOR Montreux collection follows the tradition of the period around the turn of the century. The era of radical change and progress at the beginning of the 20th century. 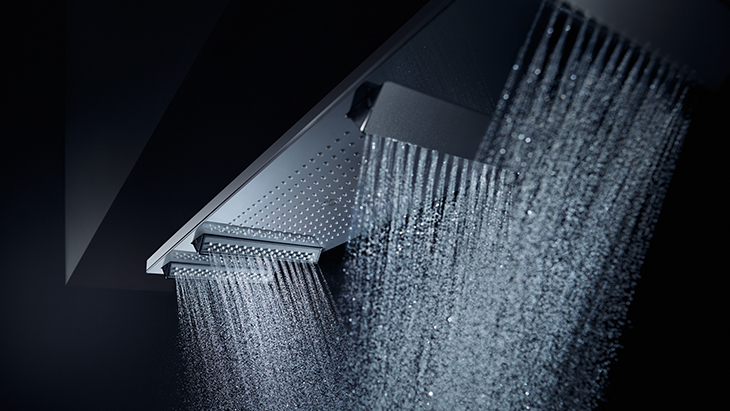 In their design, the showers and taps are reminiscent of the first industrially manufactured fittings. Check out new variants in the authentic, classic bathroom collection that offers modern user convenience.